A GLOWING endorsement from All Australian ruckman Max Gawn played a part in Melbourne selecting young big man Lachlan Filipovic in last Monday's AFL Rookie Draft. "There were a couple of times that I'd come in to the club on a Monday morning and ask ‘Jase’ whether he had seen him (Filipovic) play on the weekend," Gawn told AFL.com.au. Gawn first crossed paths with Filipovic, who now stands at 200cm, three years ago. A talented soccer and basketball player throughout his junior career, the youngster had not had much exposure to the game of Aussie Rules. After all, Filipovic's father Nick is a former soccer player for the Melbourne Knights. Realising he was both athletic and tall, Filipovic's mates invited him down to join them at the Ormond Football Club for their Under-15 season. It just so happened that Gawn – by no means yet an AFL star – had put his hand up to be Ormond's Under-15 coach. Gawn coached a "raw" Filipovic for two years at Ormond, teaching him the finer details of the game and working closely with him on his ruck craft. 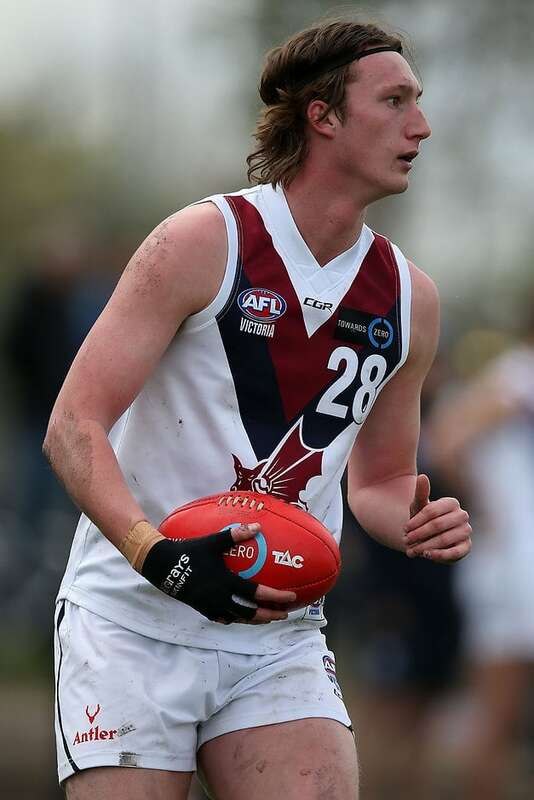 Following Gawn's tutelage Filipovic was invited down to join the Dragons' TAC Cup program, and the pair re-united this year when the Demons star took up a position at Sandringham. Gawn again worked closely with Filipovic on his positioning at ruck contests, focusing particularly on his start and end points for boundary throw-ins and around the ground bounces. Gawn's tutelage seemed to work because, with only 40 games of Aussie Rules experience in his career, Filipovic was named in the 2016 TAC Cup Team of the Year. "Lachie's got great athletic ability, he competes hard and he always wants to learn," Gawn said. "He's the type of ruckman you want. "Now we've got to drill in that AFL culture and AFL intensity into him, which hopefully won't take too long." Taylor said bringing in a developing ruckman to complement Gawn, Jake Spencer and Mitch King, recovering from a knee reconstruction, was a must for Melbourne. "We just liked the improvement that he's shown in a short period of time and we think he's got the athletic capabilities," Taylor said. "It was definitely a need on our list, another young ruckman who could take the next step in time." Gawn said he would be quick to claim that he taught Filipovic everything he knows. "His skills have come a long way since I started coaching him three years ago and of course I take a bit of credit for that," Gawn said with a laugh. "Hopefully he doesn't end up being a better kick than me, but I think that's something that's going to happen. "His willingness to learn and pick up the game really stood out and it still does."